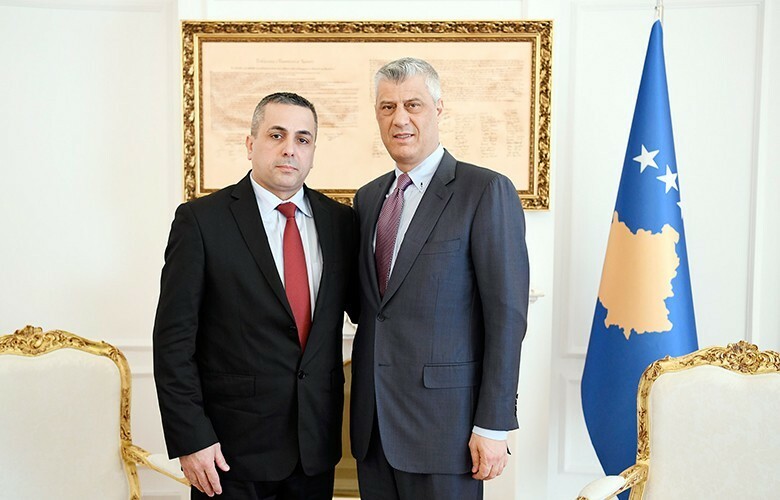 President of the Republic of Kosovo, Hashim Thaçi, received today Ilir Bytyçi, the brother of the three heroes of Kosovo, Yll, Agron and Mehmet Bytyçi, members of the “Atlantic” battalion, killed by Serbian forces. President Thaçi said that in many meetings he held with the international representatives, alongside the issue of the missing individuals, he has also raised the issue of the murder of the Bytyçi brothers. “This very issue we have discussed lately with the US senators and congressmen, who have carried out a lot towards the increase of the pressure on the Serbian state. The Names of the murderers of Bytyçi brothers are known, and they are positioned at the highest institutions of the state of Serbia,” said President Thaçi. Ilir Bytyçi, on behalf of the family, said thanked President Thaçi for his engagement on this issue. He pointed out that raising this issue by Kosovo’s institutions shall increase the pressure on Serbia in order to shed light on other war cases in Kosovo. President Thaçi once again expressed the determination of the institutions of Kosovo to the clarification of the Bytyçi brother’s case and to bringing the perpetrators to face justice.